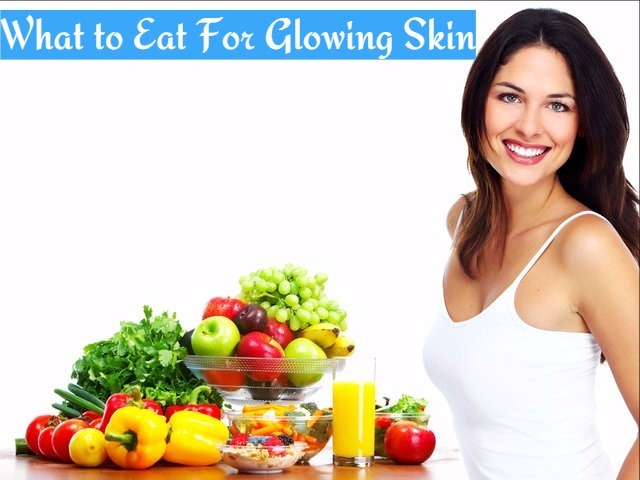 If your skin is healthy from inside, it will have a glow on it. Various factors like pollution, exposure to harsh sun, stress in work and family life, unhealthy eating habits, etc can affect your skin and take way the glow on your skin. By following healthy diet you can keep your skin healthy and glowing. This along with the basic CTM regimen can make your skin glow naturally. Avocados are rich in vitamin E, which is great for slowing down damages caused to skin. They are also good for locking the moisture in the skin and for preventing premature wrinkling, acne, dullness etc. Avocados are regarded as the prefect superfood for the skin. One of the easiest ways to include avocado in your daily diet is to drink a glass of avocado juice. Brown rice is rich in magnesium as well as vitamins and antioxidants. These protect your skin from blemishes and acne breakouts. The protein present in it is good for repairing damaged skin. Fibre and ceramides present in it have the ability to retain the moisture of the skin and keep your skin hydrated. Carrot is great for the skin. It is rich in beta-carotene, Vitamin A and antioxidants. Consuming carrot helps in flushing out the toxins from the body and in providing you healthy and glowing skin. It can also protect your skin from the damages of the sun, thereby preventing premature aging and wrinkles. You will get a silky soft and smooth skin by consuming carrots regularly. Sweet potatoes and yam also have similar effects on the skin. Dark chocolates contain antioxidants that can protect your skin from the free radicals, keeping your skin soft and young looking. It also protects your skin from the harmful UV rays of the sun and prevents any sunburn. Consuming dark chocolates help in keeping your skin soft and hydrated. Including dark green leafy vegetables in your daily diet can help you get glowing skin. These vegetables are rich in antioxidants, essential vitamins and nutrients. Some of the dark green vegetables that you can have are spinach, parsley, Swiss chard, radish leaves, arugula and broccoli, lettuce, mustard leaves, coriander and so on. They help in removing the dullness on the skin and keep your skin glowing. Egg is rich in Vitamin B complex and helps in keeping your skin smooth and free from blemishes as well as in preventing aging of the skin. Zinc present in egg can keep your skin supple. Egg yolk is a rich source of biotin, which is needed for a vibrant and youthful skin. Vitamin A in egg can repair cell damage and helps in keeping your skin healthy and glowing. Mangoes are rich sources of antioxidants and Vitamin A. they are great for preventing premature aging and for retaining the elasticity of the skin, as well as for growing new skin cells. Banana can prevent premature wrinkling of the skin as it is rich in Vitamins A, B and E.
Papaya can remove all impurities form your skin and shed all the dead skin cells. Oranges and kiwis are packed with Vitamin C. This vitamin helps in the boosting synthesis of collagen and protects your skin from the appearance of wrinkles. Guavas, grapefruit and strawberries are other fruits rich in Vitamins C. Vitamin C is also good for protecting your skin from the damages of sun and promotes cell turnover. This way it keeps your skin looking young and beautiful. A glass of warm water with lemon juice and honey is good for lightening your skin tone and for keeping your skin clean and radiant. Apple also provides a toned look to your skin and makes your skin look younger. Strawberries, blueberries and raspberries are storehouses of antioxidants and help in removing all blemishes from your skin. When your skin is exposed to the sun, free radicals are formed. This can lead to premature aging of the skin. Green tea is rich in antioxidants and has the ability to flush out all these free radicals form the body. This way it helps in preventing premature aging of the skin. It can also prevent acne breakout and keep your skin young and healthy. Include foods rich in unsaturated fats, omega-3 and omega-6 fatty acids for providing your skin with natural oils. This in turn helps in reducing inflammation, scaly skin, acne and redness. Nuts like walnuts, hazelnuts, and almonds, and fish like tuna, salmon, herring and trout are rich sources of unsaturated fatty acids. Consuming them can make your skin healthy and glowing. Red wine has the power to retain the natural glow of the skin and to prevent aging of the skin. This is because of the presence of antioxidants in it. Water is very beneficial for the skin. Drink lots of water throughput the day. This will keep your hydrated and keeps your skin healthy and glowing. Water flushes out the harmful toxins from the body and also helps in preventing the wrinkles from appearing on the skin. So, always keep a bottle of water handy and sip whenever you feel thirsty or you crave for your favourite cola. Include a pinch of herbs like rosemary, thyme, and mint in your daily diet. Consume cucumbers as it can clear pores. Yogurt eliminates all the harmful bacteria form the skin and clears your skin. Salmon, flaxseeds and walnuts, which contain omega-3 fatty acids. These can help in reducing the fine lines and wrinkles, thus preventing your skin from getting drier. They also boost the elasticity of the skin and keep your skin soft and smooth. Eggs are rich sources of proteins, biotin and essential vitamins. So, egg can help your skin fight dryness.